Description This material is just as fantastic as it sounds. Showcasing an Italian White/Black Dimensional Spacer Mesh. 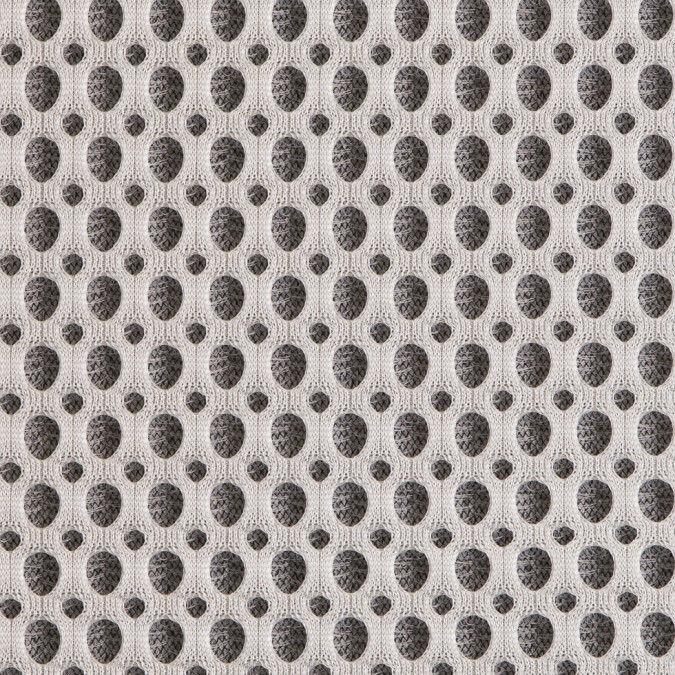 This textural spacer mesh is similar to neoprene in weight and body but proves to be much stiffer in drape. This mesh is sheer crisp and light in weight. Laying at 59\ in width use this material to create laptop slip covers make up bags shoes and other innovative designs. This could also be used for soundproofing. "